Do You Need to See a Resurrected Body to Believe that a Resurrected Being has Appeared to You? As we saw in the last post, there is excellent evidence that one does not need to see a resurrected body to believe in the bodily resurrection of Jesus: Millions of Christians today believe this fantastical claim but will readily admit that not one of them has ever seen a resurrected body to prove it. But what about someone who claims to have seen the resurrected Jesus? Can someone believe that they have seen a bodily resurrected person but never have seen his resurrected body??? Yes. 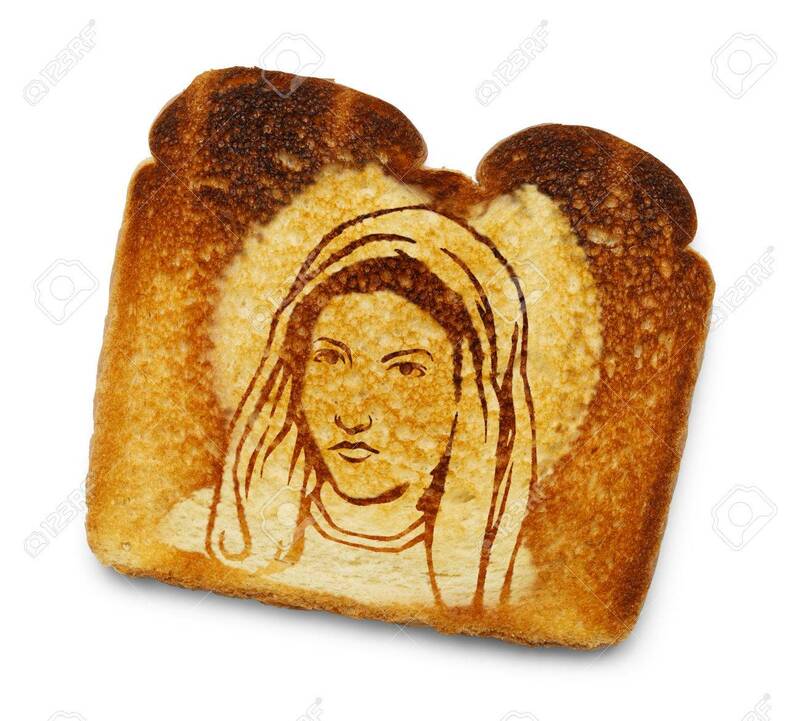 Thousands of devout Christians claim to have “seen” the Virgin Mary in cloud formations, shadows, stains on walls, and even in their burnt toast. When asked what they saw, these people do not say, “I saw a stain on a wall that looks like Mary.” No, they say, “I saw the Virgin Mary!” Althouth no Christian denomination claims that Mary’s body is resurrected, over a billion Catholic Christians believe that Mary’s body was “assumed” into heaven and therefore that her body is a “heavenly” body. Is a heavenly body different than a resurrected body? If so, how would an observer tell the difference??? Since we know that the detailed appearance stories in the Gospels and in Acts are likely fictitious embellishments (see here), and, neither the Early Creed nor Paul’s epistles mention any details about what Paul or anyone else saw when they allegedly received an appearance of Jesus, how do today’s Christians know that the early Resurrection of Jesus belief did not start in the same way: illusions of reality. Christianity is a house of cards, folks. Yes, I realize you don’t get it. hmmm…So, knowing what second temple judaism taught about the belief in bodily resurrection has no bearing on what the early christians would have known and meant when they said that a bodily resurrected Christ appeared to them? Anyway, NT Wright’s the Resurrection of the Son of God goes into massive detail to show what most thinking Christians know is correct: a physical resurrection is what is meant in the New Testament when Paul says that Jesus rose from the dead. But don’t let that impede you from making wildly inaccurate claims Gary. Mucho blessings for the weekend!